Need a quote for your next meeting, incentive, conference, event or leisure trip to Scandinavia? Please do not hesitate to contact us. * 5 nights in 3 / 4 star hotels, shared twin room. * 2 nights on overnight cruise in shared inside twin cabin, dinner buffet included. * Private coach service as mentioned in program. 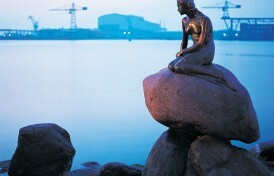 * Private guide for sightseeing tours in Helsinki, Stockholm, Oslo and Copenhagen. * Entrance to City Hall. * All taxes and service fees. Are you interested in taking this tour, please contact us. * 5 nights in 3-4 star hotels, shared twin room. * Private taxi transfer to and from airport on arrival and departure day. * Train from Stockholm to Oslo, 2nd class. * Sit in coach sightseeing tour in Helsinki, Stockholm, Oslo and Copenhagen. * Prices are subject to room/cabin availability at time of booking. * Prices do not include any air tickets or Visa application. * Prices do not include anything not mentioned in the itinerary or any personal expenses. * Prices are subject to change due to fluctuation of exchange rates or other unexpected reasons. * Drottningholm Tour (3 hours) in Stockholm, EUR 25. Take a boat tour to Drottningholm Palace which is the present residence of the royal family. Guided tour is included. Spend some time in the beautiful park and see the Chinese Pavillion from outside. Take the boat back to the city. Transfer back to you hotel at own arrangement. Enjoy a unique Casino Night Deluxe at Casino Cosmopol. Including entrance, Welcome Drink, markers for 60 SEK and a luxurious 5 course dinner! Transfer to and from the Casino under own arrangement.